See the first image with its cover athlete inside. NBA 2K15, the latest game in 2K Games’ annual basketball franchise has been announced for October this year; the game will be hitting the Xbox one, PlayStation 4, PlayStation 3, Xbox 360, and PC. This game follows last year’s NBA 2K14, which got accolades and acclaim for its hyper realistic graphics on the PlayStation 4 and Xbox One, but got criticized for its gameplay and game modes. This year’s game should hopefully address the problems with last year’s game, and deliver the definitive basketball experience (especially with EA Sports’ NBA Live totally dropping the ball). The cover athlete for this year’s edition is NBA’s most valuable player, Kevin Durant. 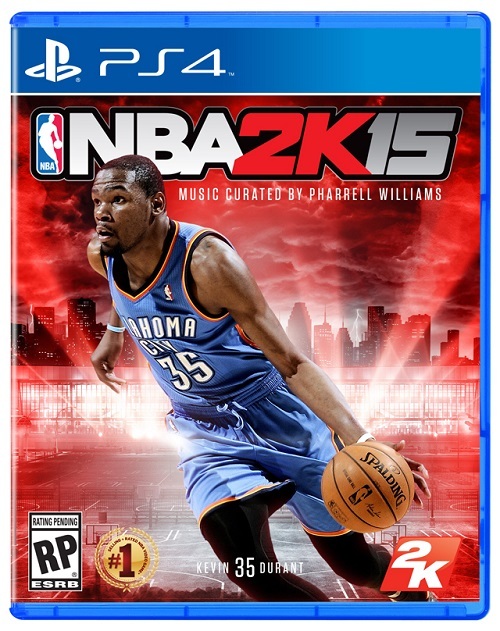 Kevin Durant’s appearance on the cover of NBA 2K15 will be his fourth on the box shot of a console sports video game since 2007. Are you excited for NBA 2K14? What are your expectations from it? Which platform will you be getting it on? Let us know in the comments, and stay tuned for more coverage.